The brand Paddy Power is to Ireland what William Hill is to the UK – a long established betting organization with a strong terrestrial and now online presence. In fact, Paddy Power are the largest provider of fixed odds sports betting services in Ireland. Primarily a sports betting and wagering operator, they only launched their online casino in 2004 under license from the Isle of Man’s Gambling Supervision Commission. They also now hold a UK Gambling Commission license for UK customers. 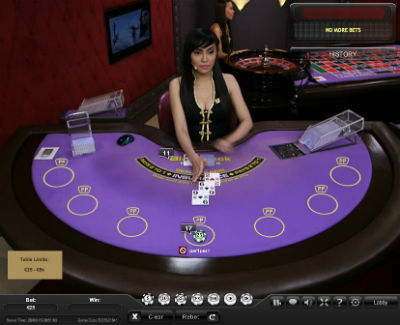 Their live casino began operating at the end of 2009 and was powered by Evolution Gaming. 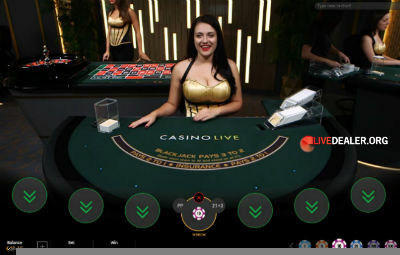 In April 2013 they switched platforms and their live casino games are now provided by Playtech, from both their European (Riga) and Asian (Manila) studios. All Paddy Power betting channels, including sports, poker, bingo, financials, lottery, wagering and casino are ultimately owned by parent company Paddy Power Betfair Plc, a company formed after the mega merger of Paddy Power and Betfair in 2015. Many tables to choose from including Lounge (pictured), Mini, Grand or Prestige Baccarat (with dealer card squeeze). 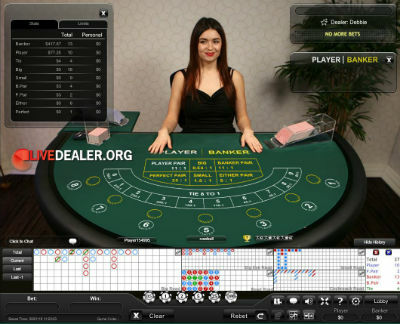 Some tables can also be played with ‘No Commission’ payouts applying. All dealt from 8 deck shoe, re-shuffled after 4 dealt, Blackjack pays 3:2, dealer stands all 17s. This is live Casino Hold’em Poker…player versus the house. An Ante bet gets you 2 pockets and a look at the Flop. 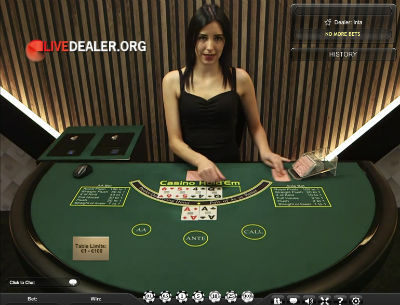 A Call bet lets you see the Turn and River and whether you’ve beaten the dealer’s hand. Paddy’s took out the honour of being the first casino to add Playtech’s new 3 Card Brag table in May 2017. Beat the dealer’s qualifying (Q or better) 3 card poker hand for an even money payout on your Ante and Play bets. If dealer doesn’t qualify only Ante bets pay. 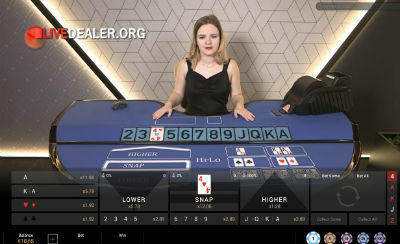 If dealer’s hand is better…all bets are lost. Auto-calculated odds on whether the next card will be higher, lower or the same as the base card. More on Playtech Hi-Lo here. 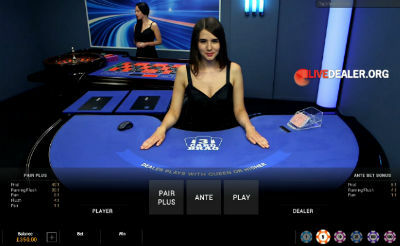 Full range of Playtech’s html5 powered live games for iOS devices…iPad & iPhone. App in UK App Store. 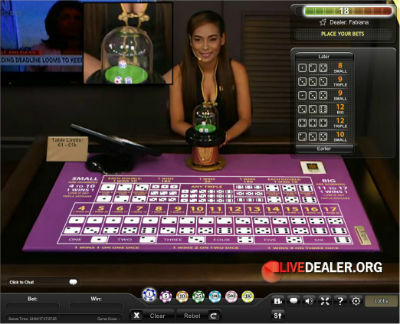 Playtech’s live games and dealers are among the best out there. Throw in a substantial private table area and Paddy Power’s live game offering is right up there. All offer standard baccarat bets ad payouts (Banker 0.95:1, Player 1:1, Tie 8:1) and side bets. 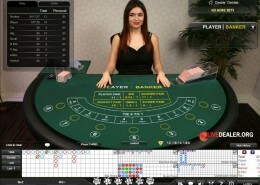 Variety of European and French Roulette tables. Standard bets and payouts apply. Card to Dragon, Card to Tiger. Highest wins (Ace is low). Its that simple. More on Playtech Dragon Tiger here. 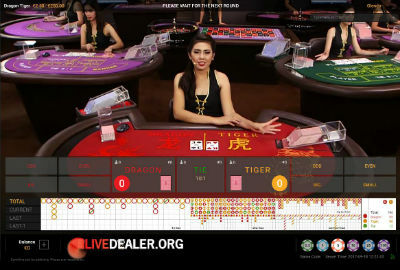 Standard bets and payouts for this favourite Asian dice game apply.